There were 979,578 visitors to the North Cascades National Park Service Complex during the National Park Service’s 100th year. SEDRO-WOOLLEY — It was a busy 2016 for the North Cascades National Park Service Complex. There were 979,578 visitors to the complex during the National Park Service’s 100th year. 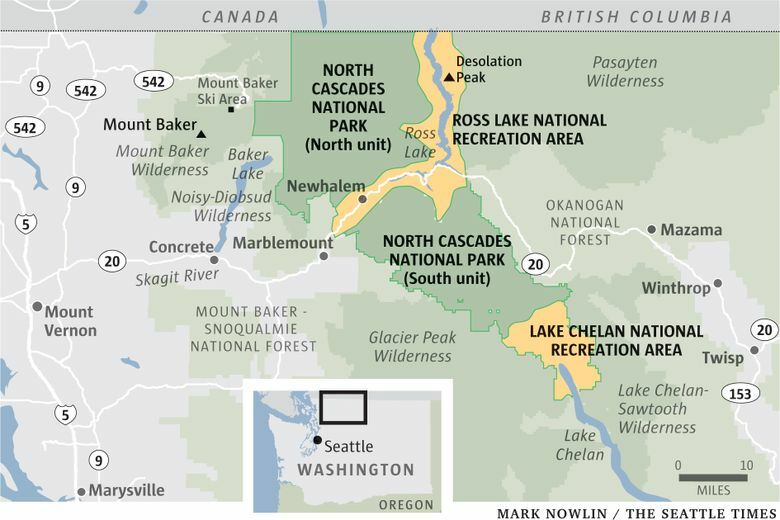 Lake Chelan National Recreation Area had 45,514 visitors, North Cascades National Park 28,646 and the Ross Lake National Recreation Area 905,418. The numbers of visitors for all three areas were up from 2015. The total increased by 154,136 from the previous year. “We expected more visitors in 2016 as the NPS celebrated its centennial with special events and activities, but these numbers really show the depth of feeling people have for their national parks,” North Cascades National Park Superintendent Karen Taylor-Goodrich said in a news release. The Every Kid in a Park program encouraged visitation by offering every fourth-grader in the country a free one-year national parks pass for the student and his or her family. About 2 million children signed up in 2016 for the program. Throughout the country, the popularity of national park’s has increased. The top visited park units in the country were Golden Gate National Recreation Area with a total of 15,638,777 visitors, followed by the Blue Ridge Parkway (15,175,578), Great Smoky Mountains National Park (11,312,786), George Washington Memorial Parkway (10,323,339) and Gateway National Recreation Area in New Jersey (8,651,770).